The standard edition includes just the cartridge and a plain paper manual. You supply your own SD card and USB-mini B cable for programming and BIOS updates. The deluxe edition includes a color printed manual, a USB-mini B cable, and a 2GB SD card loaded with the programming software, drivers, online manual and homebrew games that you are encouraged to try such that you may one day purchase them from the AtariAge store. 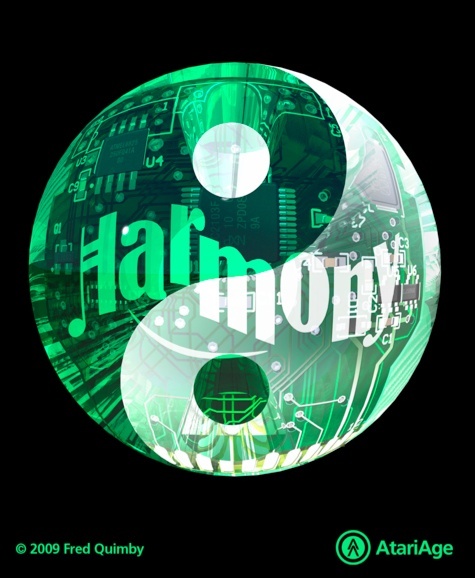 Harmony cartridges will ship in a USPS small flat rate priority box. Cost is $13.00 to Canada and Mexico and $17.00 elsewhere. If you are ordering one standard edition cartridge and would like it shipped in a bubble mailer, let me know and I will refund $8. Deluxe editions or multiple cartridges will only ship in the priority box. NOTE: Cartridges are built to order and ship out once a week regardless of when the order is placed. If there is an extended delay processing your order, we will let you know. This order page is for international customers. USA customers use this order page.